In January our talented members have done some really amazing creations! This tiny, tiny bear is only 12mm (0,47 inches) small! It is not crocheted but knotted using silk sewing thread. It is hard to believe it is possible to make something so small! 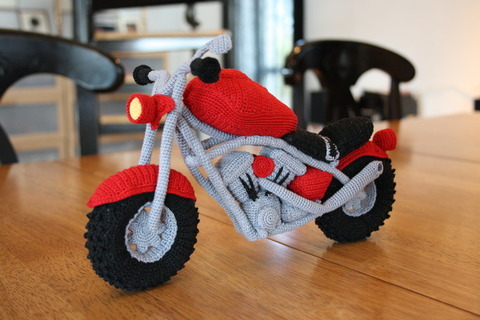 This fabulous bike is crocheted by Mia Svensson, using a pattern designed by designer Gudrun Kulich. Linda McConnell made this tiny little needlefelted bunny named Jack, that with antlers turns into a Jackalope. 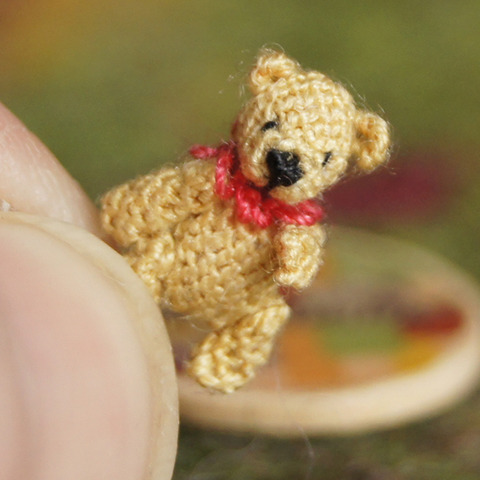 The tiny yorkie Lulu is the creation of Cheryl Jackson. 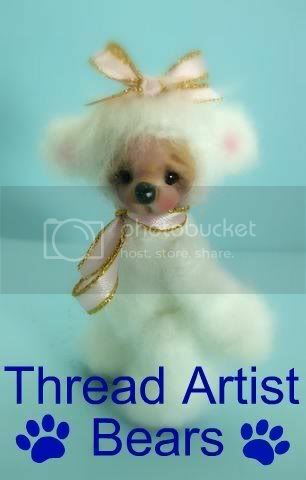 It is Cheryl's own design and it is crocheted in punch thread that is brushed to make it look fuzzy. ... and these are only a few of the great creations our members made in January!